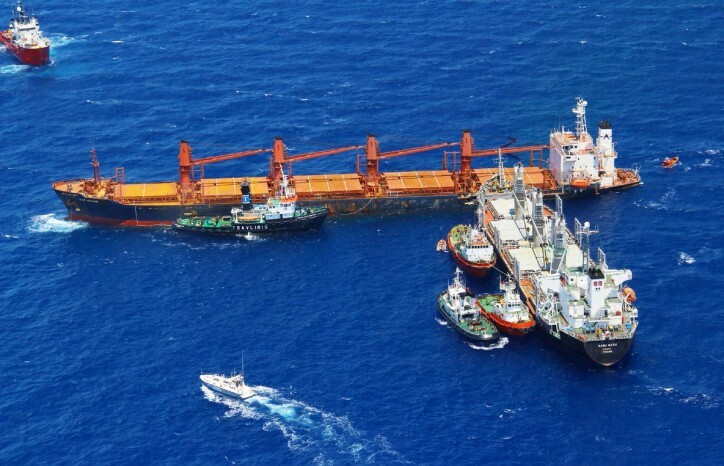 Caption: Tsavliris Salvage provided salvage assistance to the Bulk Carrier “KATHERINE” (17,255 GT – 28,711 DWT), laden with 26,400 MT of hot briquetted iron, following collision with bulk carrier “BARU SATU” (9,978 GT, 16,190 DWT), in the Kafirea Strait, Aegean Sea (July – August 2013). The prestigious Green Award Foundation certifies shipping companies and ships that demonstrate excellent performance. All certified companies have to meet strict requirements covering safety, quality and environmental conscience. The Tsavliris Group has been active for more than 75 years as a maritime-focused enterprise that has unrivalled experience and know-how, including 55 years of performance in the international marine salvage business. Tsavliris is one of the world’s most active emergency response contractors for assisting marine casualties, with a record of more than 3,000 salvage cases. 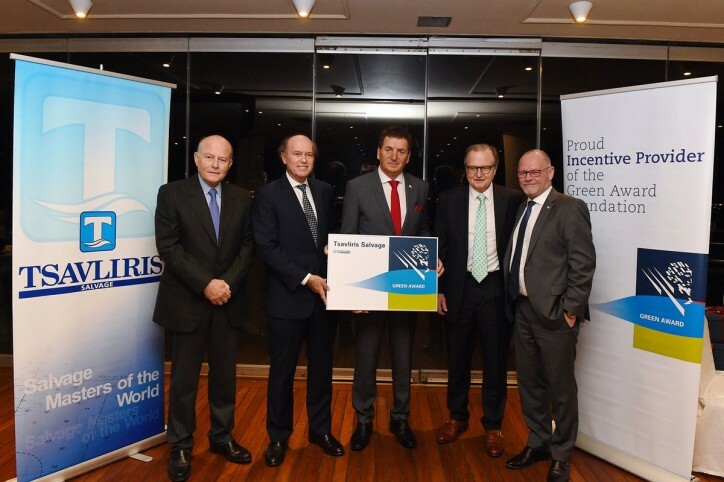 Dimitrios Mattheou, Chairman of the Green Award Foundation, formally handed over the Green Award plaque to the Principals of Tsavliris Salvage, Nicolas, George and Andreas Tsavliris.